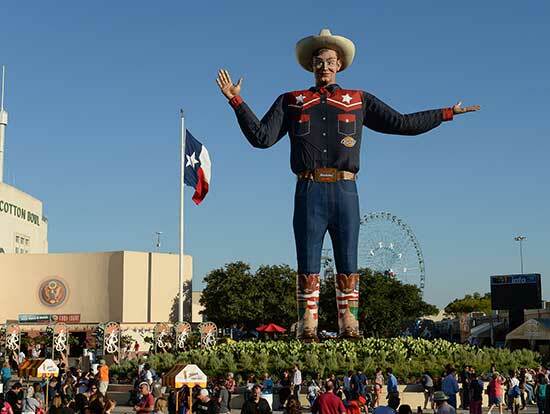 Celebrating 131 years, the State Fair of Texas returns September 29 through October 22, 2017 themed “Celebrating Texans” with another season of festivities, family fun, and unusual food offerings. Adding on to its annual offering of more than 100 daily performances included with admission, 70 Midway rides, enough Midway games to keep you entertained for hours, and endless activities across the fairgrounds, the State Fair is excited to announce several new attractions lined up for the 2017 event. Here’s just ab it of what you can expect to see. Located at Oak Farms Showplace Theatre, World of Magic will captivate crowds of all ages with mind-blowing magic tricks and illusions. Fairgoers can also visit the theatre to find Backyard Circus, which offers little ones the chance to dress up in costumes and take part in a show starring lion tamers, tight-rope walkers, ballerinas and a host of circus favorites. Guests can catch a daily Xpogo performance in Chevrolet Park Plaza, which also hosts the Lords of Gravity Basketball Slam Dunk Show. For fairgoers who want to learn more about agriculture and its significance in our everyday lives, the I Spy Texas exhibit will be housed in the foyer of the Briscoe Carpenter Livestock Center. As a nod to the Fair’s agricultural roots, Agriculture in Texas will serve as the new exhibit in the Science Place building. Guests can see how the newest crops from the Big Tex Urban Farms started in 2016 are doing in the Errol McKoy Greenhouse on the Midway and check out the new hydroponic system, a deep water culture tank with the capability of producing 25,000 plants per year. “Texas in the First World War,” an exhibit in the Hall of State which provides an in-depth look into Lone Star State history, exploring the active roles that both Texas and the United States played throughout the pivotal war era. “Drawing Power: The Editorial Art of John Knott” tribute to respected cartoonist, John Knott, whose artwork amassed to more than 15,000 pieces throughout his 52-year history working for The Dallas Morning News. “America and World War I,” another memorial exhibit featured at the D.A.R. House that showcases a variety of original artifacts ranging from personal items to weaponry gathered from all participating nations during the Great War.